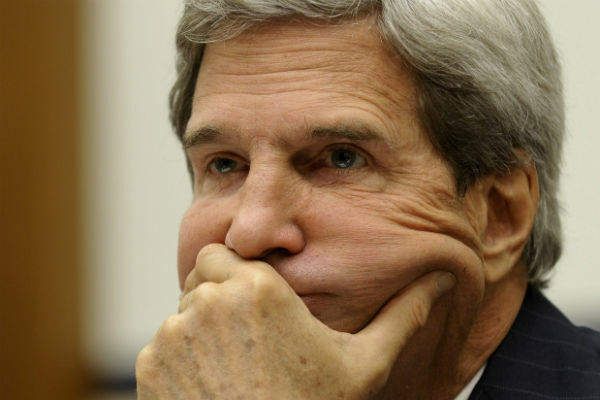 John Kerry: Mr. Magoo or Machiavelli? Diplomacy is messy, clichés aren’t. Ever since Secretary of State John Kerry seemed to stumble into a diplomatic way out of the Syrian chemical weapons crisis, the media have had trouble deciding which cliché best describes his persona. Is he a droning bore or a Biden-league gaffe machine? A Mr. Magoo, safely bumbling through dire dangers, or a shrewd strategist secretly in full control of the situation, his foot-in-mouth moments actually clever feints in the world’s largest poker game? And depending on how the Syrian situation is resolved, they’ll be asking, Is he (like his boss) a world-class chump or champ? But then of course Putin and Assad took Kerry up on the offer, more or less. As difficult as it will be to reach, much less enforce, an international plan to secure and destroy Syria’s chemical arsenal, the whole world sighed in relief. And Kerry-to-the-rescue surprised everyone. But as it turned out, Kerry’s statement wasn’t a gaffe or ill thought-out, and he didn’t entirely wing it. “This wasn’t an accident,” a top White House official told The Huffington Post. Kerry made it ripe, and Putin plucked it off the tree. Whether Kerry intended to make the proposal public when he did is less important than that he consciously (not Magoo-like) let it leave his lips—unlike Defense Secretary Chuck Hagel, who when asked a nearly identical question by NPR two weeks ago, dodged the question (saying, “I don’t speculate on hypothetical situations”). Kerry, purposely, didn’t dodge. So was this all planned out, Kerry’s words less slips than tricks-of-the-tongue, long-game moves to throw off foes from Fox News to Vladimir and Bashar? Maybe Kerry isn’t a doofus or a Magoo but a Machiavelli. Of course, Kerry, like most people, can’t be so neatly packaged. What comes out of his mouth is the result of intention and impulse, foresight and blind spots. Let’s give him props, much as we did Joe Biden for revealing, apparently without White House approval, that Obama supported gay marriage—a revelation that, contrary to fears it would cost him votes in the 2012 election, helped set off waves of equal-marriage legislation and court decisions. Obama critics can’t stop complaining that his Syria policies don’t follow a straight line. But with luck, the administration’s zig-zagging will lead to a Cuban missile crisis–like solution—achieved back then through a much messier process than the smooth version John and Robert Kennedy presented to the public. The way media gravitate toward either/or clichés parallels the either/or choices they’ve tended to present on Syria: either attack militarily or do nothing. But now an idea has expanded the world’s imagination, making it thinkable that we’re not stuck between two untenable choices. We’ve crossed a blue line and discovered this third thing, diplomacy, which until this week was dismissed as unworkable. And whatever happens, it will be that much harder to go back to seeing this crisis, and maybe future ones, in blinding two dimensions. Read John Nichols on Obama's decision to pursue a more dipolomatic path in regards to Syria.